A harried couple with two young children find peace as they learn how to pare down playroom clutter, keep the kitchen organized and sort clothes. Marie helps a retired couple reclaim their space by showing them how cut back on clothing, store Christmas decor and display old family photographs. Marie shows a family living in a cramped apartment how to create temporary storage solutions and make better use of hard-to-reach cabinet space. A grieving widow gets a fresh start as she learns how to properly store her purses, make a memory box and say goodbye to the things she no longer needs. Two writers work together to reduce their library, sort through sentimental items and get their cords and electronic gadgets under control. Marie teaches a married couple with two children and way too much stuff how to fold scarves, get rid of old toys and tame their garage. 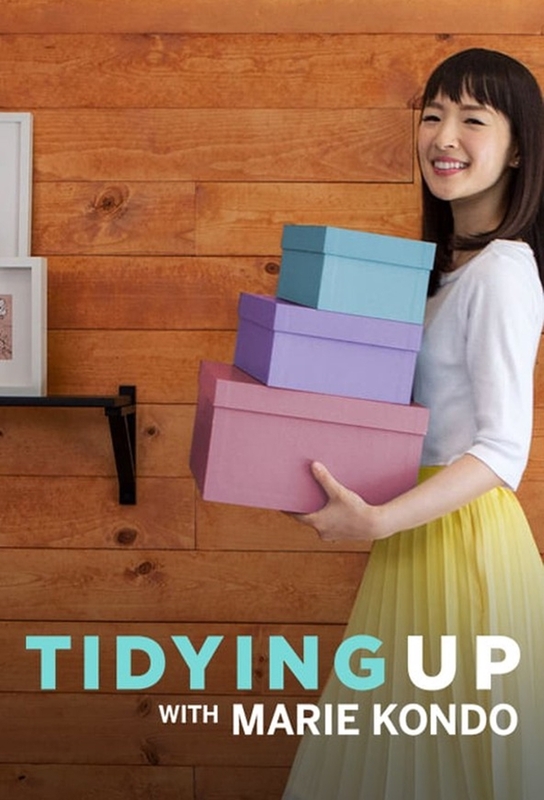 An expectant couple with their first little one on the way get tips for organizing shoes, folding socks and toppling a mountain of accumulated paper. A pair of newlyweds with two dogs corral all their pet items, then learn the magic of using boxes to keep drawers and cabinets tidy.